Vee Jay’s Kalfresh – VJK Produce – is a joint venture between the Jurgens Family and Kalfresh Vegetables, which has enabled 12-month supply and a broader vegetable offering. We know that healthy soil produces healthy crops, packed with flavour. Vee Jay’s Kalfresh is a vertically integrated farming company, founded by farmers with good farming techniques at its core. 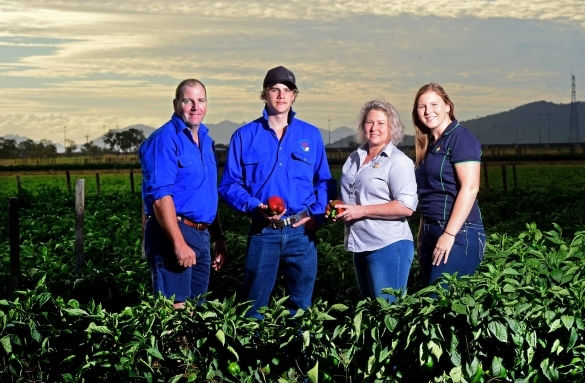 Vee Jay’s Kalfresh has 550 ha under crop in the Bowen region, at the top of the Whitsundays. The mild winters make it the perfect place to grow winter tomatoes, capsicums, pumpkin & beans. Vee Jay’s Kalfresh controls the entire paddock to plate journey – from seed selection right through to harvest, packing, distribution and marketing. 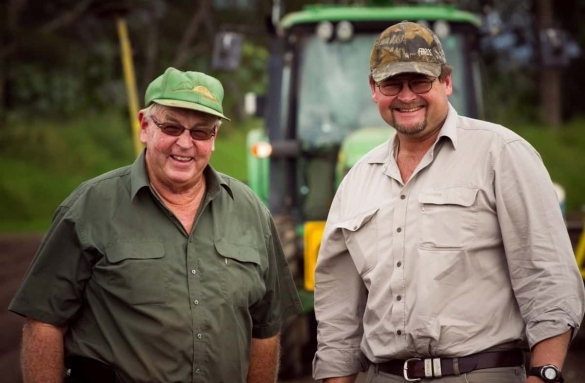 The Jurgens Family are 5th generation farmers who have been farming in the Bowen region since 1915. Their Vee Jay’s Tomato brand was first established in 1974 by Vern and Janette Jurgens. The brand is continued today by their son Jamie and his wife Melita and is well-recognised in the market place for producing first-class gourmet tomatoes. Jamie was north Queensland’s first Reef Guardian farmer, a title bestowed in recognition of his work around sustainable and environmentally-farming practices. The Jurgens pride themselves on growing environmentally and socially-sustainable safe food grown using a biodynamic farming system. The Jurgens received full Organic Certification in early 2018 and now offer customers a commercial supply of Certified Organic gourmet tomatoes, snacking tomatoes, pumpkin, capsicum and green beans. Kalfresh Vegetables was started by Barry and Robert Hinrichsen in 1992 in the Fassifern Valley, south-west of Brisbane. Kalfresh has grown to become of one Queensland’s most prolific growers and marketers of fresh vegetables. Like, the Jurgens family, everyone involved with Kalfresh is passionate about growing the best vegetables possible. We’re generational farmers who innovate and push boundaries to remain sustainable and grow the healthiest, tastiest, nutrient-rich crops we can, with the least environmental impact. Founding director Robert Hinrichsen was named AUSVEG Grower of the Year in 2016, in recognition of the biodynamic systems he’s implemented to minimise chemical use and improve soil health. CEO Richard Gorman has been with Kalfresh since 1994 and oversees the day-to-day operations and strategic direction of the business. The partnership between Kalfresh and the Jurgens brings together producers who share a passion for sustainability and farming smarter.